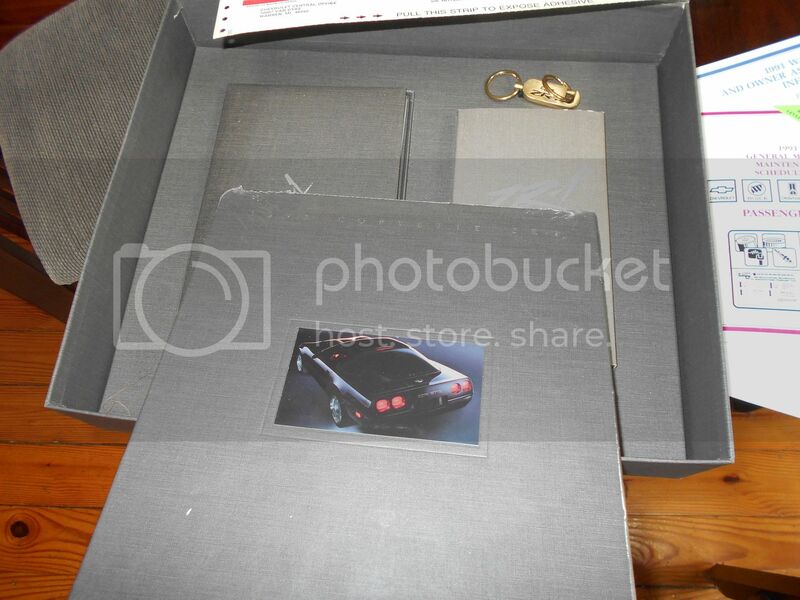 Complete 1991 ZR-1 owners kit, pizza box is excellent condition,coffee table book sealed,driver book ,brass keychain ,video and briefcase all excellent condition.Comes with window sticker from black on black car. 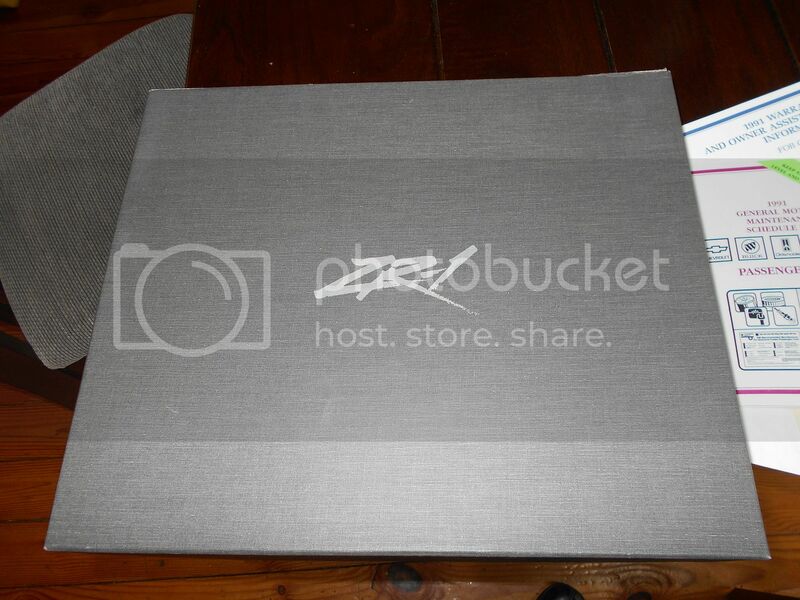 $310 plus $15 shipping. 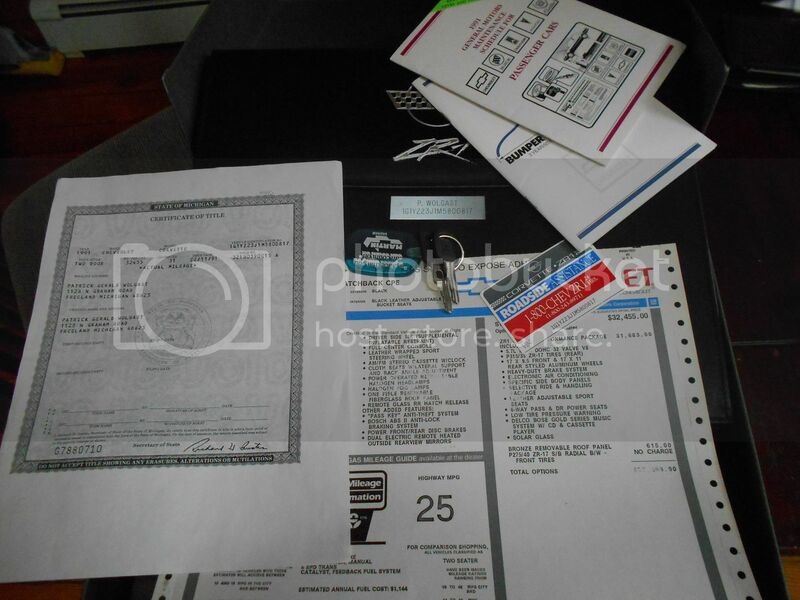 VIN # 1G1YZ23J1M5800817, also original keys that will fit this VIN, copy of title and roadside assistance with vin printed on i.D. card.